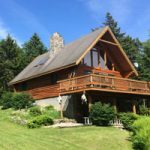 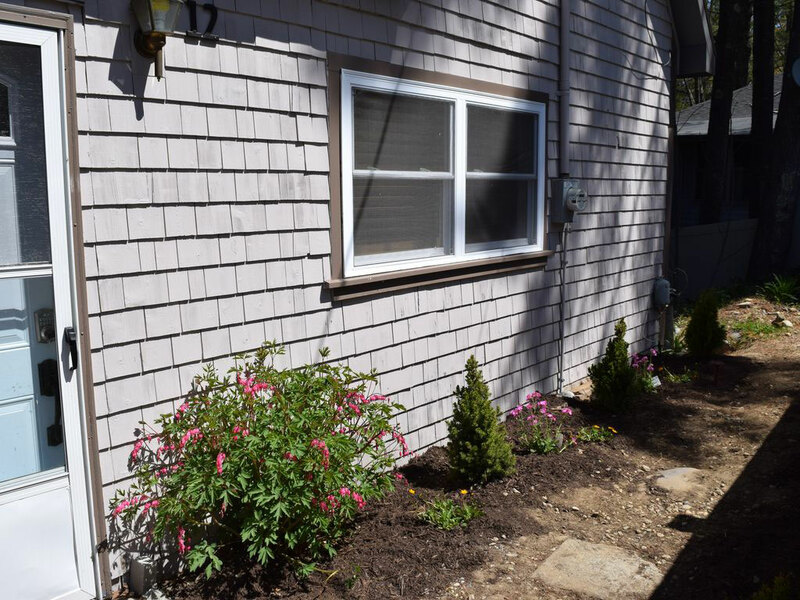 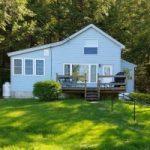 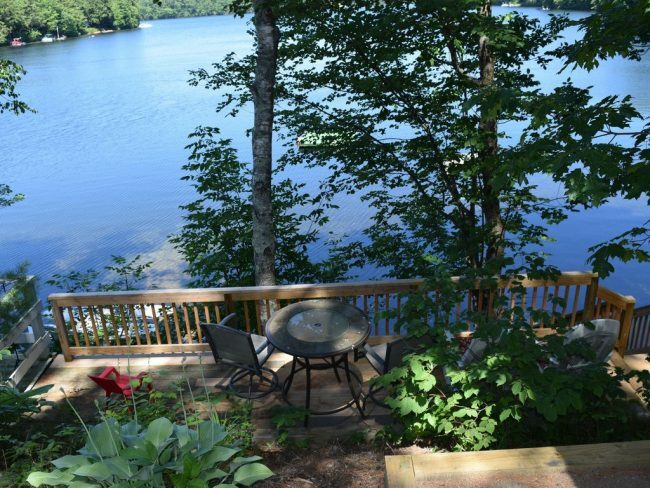 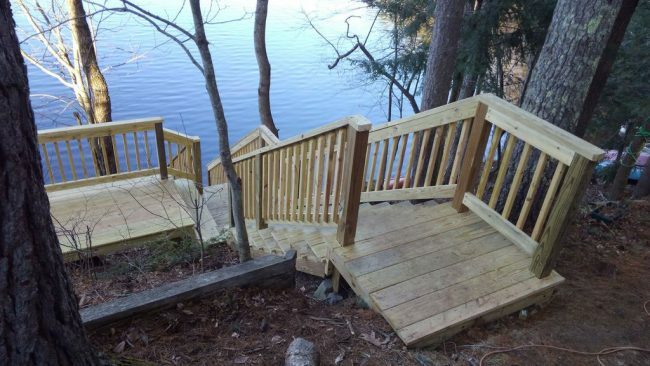 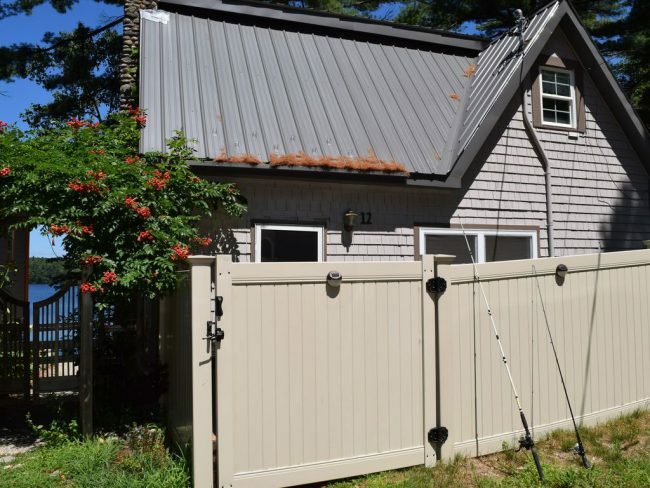 Our beautiful Maine lakefront getaway offers all the modern conveniences in a traditional camp-style three bedroom home on the shore of pristine Sabbath Day Pond, a 1.5 mile lake in the Sebago Lakes region. 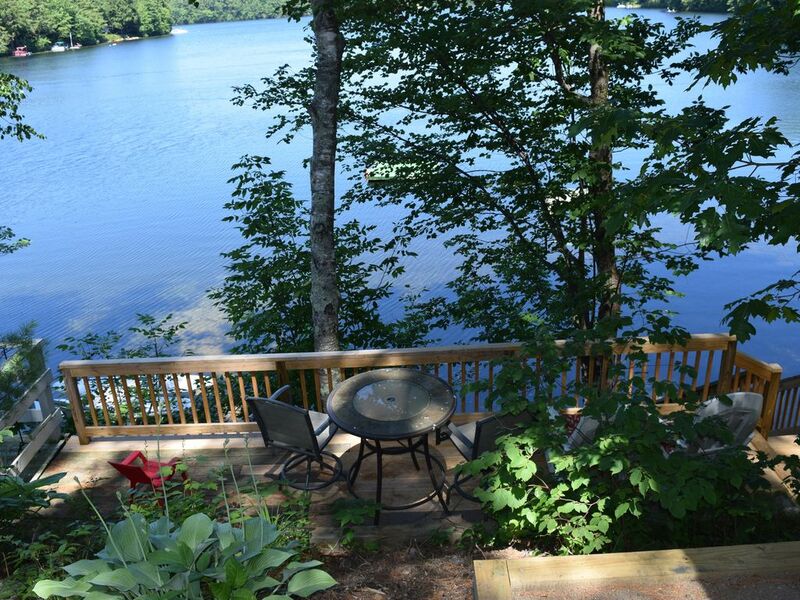 Enjoy stunning views of the lake from our two decks, living room, kitchen and master bedroom. 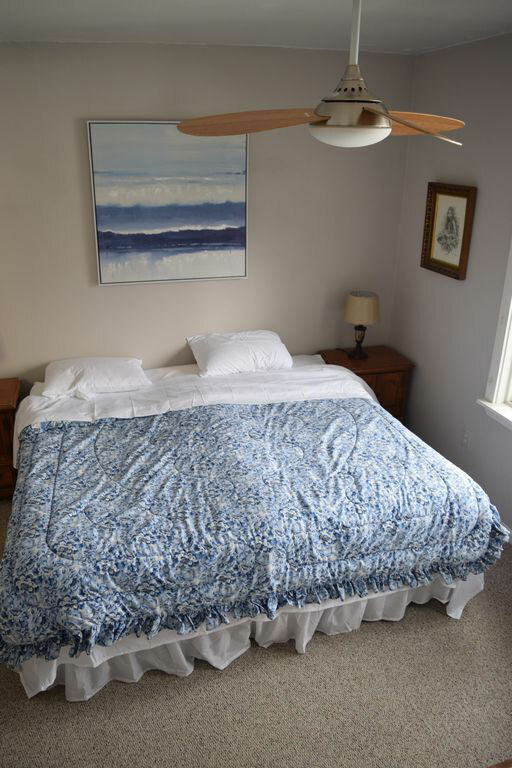 We have a private beach and a shared private beach with nearby homes. 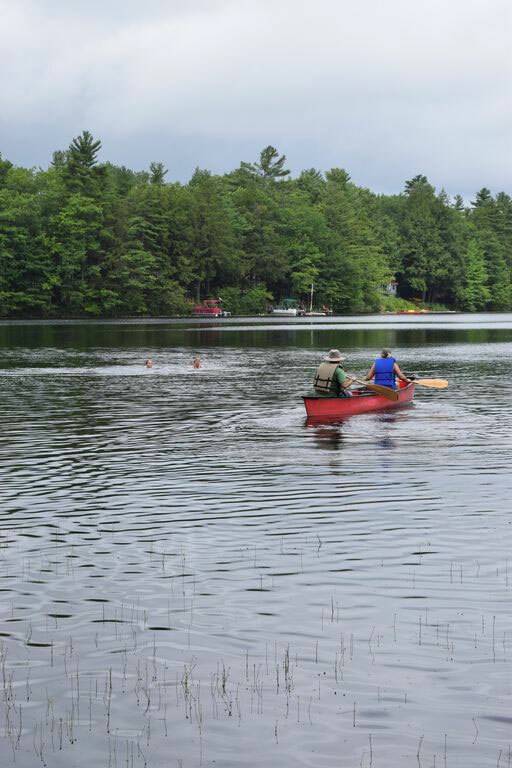 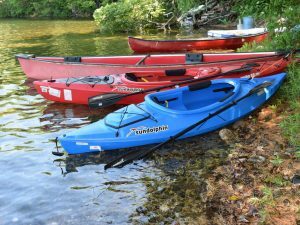 Enjoy swimming, fishing, canoeing, kayaking or just sit back and listen to the loons and look for our bald eagles. 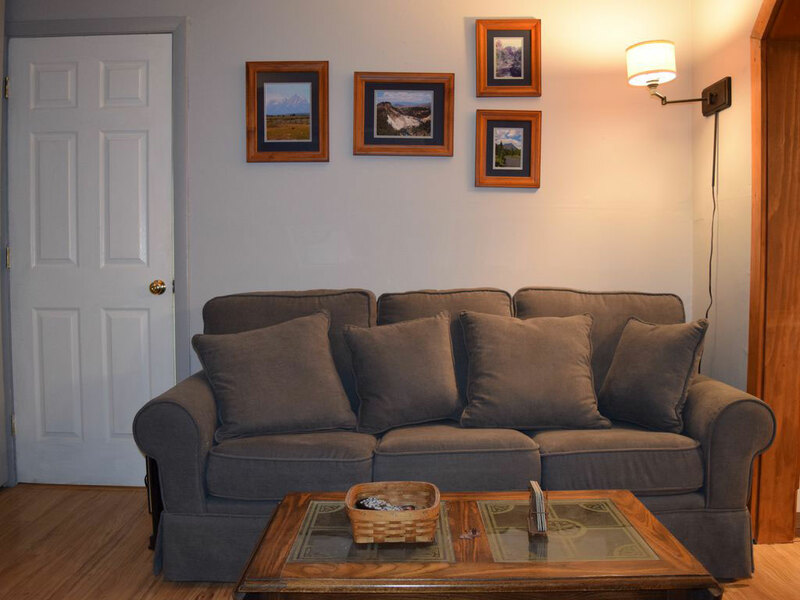 Modern conveniences include wi-fi, washer/dryer, microwave, 50-inch TV. 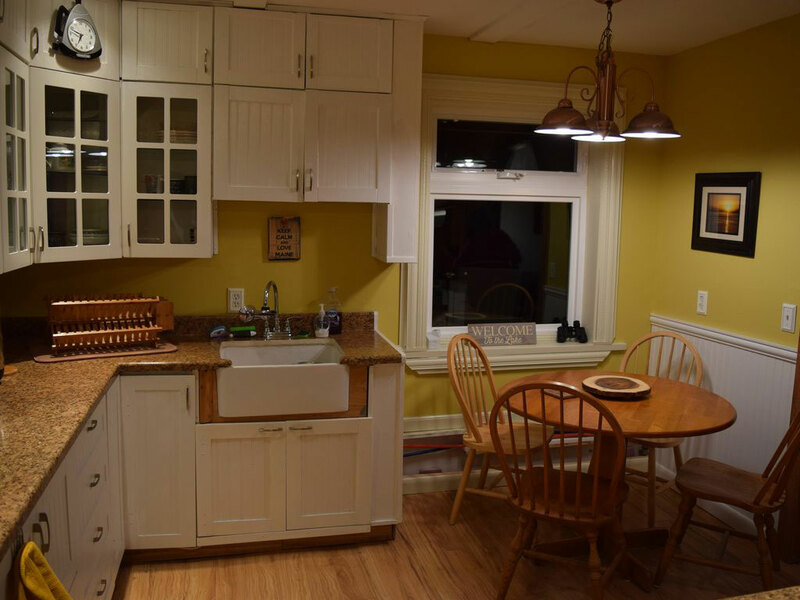 Newly renovated kitchen and bathrooms. 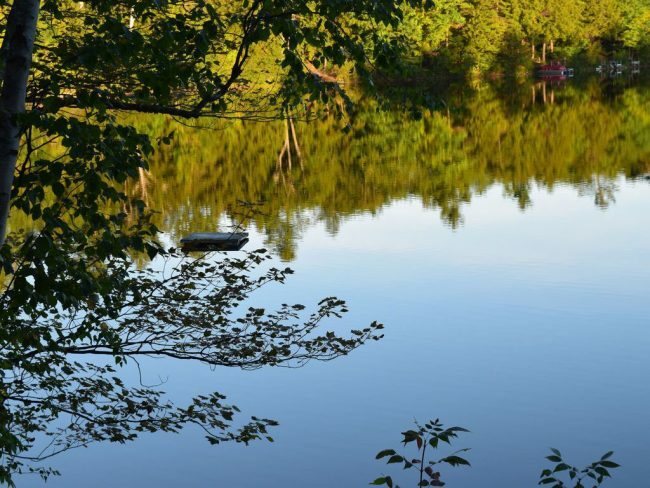 You’ll never want to leave the camp, but if you do, we are just 24 miles from Portland, 17 miles from Freeport, and minutes from the Maine Wildlife Park, Sabbathday Lake Shaker Village, Pineland Farms, and the Oxford Casino.